Now is the time when building industry experts urge homeowners to consider home renovations for the year. While thinking about home renovations may be the furthest thing from your mind right now, the recommendation is valid. With temperatures colder and furnaces across the region working overtime, winter is an ideal time to assess your home. Keller Homeowners seeking to enhance their home living standard can make smart and informed decisions regarding their home renovation by doing some research first. The right home renovations can help you save money by avoiding additional maintenance costs and headaches in the future. Hiring an inspector or appraiser can give you a better sense of the work that should be completed during a renovation, as he or she can make recommendations as to how best to invest your renovation dollars. However, knowing what is behind the walls of your home will also influence where you should invest your renovation dollars. The U.S. Department of Energy’s Energy Information Administration recently forecast that although home heating costs will be lower this winter, homeowners should be concerned about of sources of air leakage around their home, especially within the building walls. Studies point out that untreated air leaks are often responsible for up to a third of a home's energy costs. To combat the issue of air leakage, homeowners typically choose to caulk or weather-strip their homes. These solutions do provide some relief to air leakage, but you should consider taking more assertive action. A recent study showed that heat transfer was much lower in a home equipped with spray foam insulation than with other, more traditional insulation materials. Spray foam insulation, which can help combat air leakage, is gaining popularity among homeowners since it delivers year-round benefits. Spray foam insulation delivers consistent R-value protection and air sealing all year round to help keep your Keller home comfortable regardless of the season or climatic region. Spray foam insulation performs for the life of the property, ensuring that homeowners can enjoy comfortable indoor temperatures all year round without overrunning their heating and cooling equipment. Additionally, spray foam insulation can noticeably reduce heating and cooling costs - in some cases by up to 50 percent. Spray foam insulation also helps minimize random airborne moisture and pollutants from entering the home, ideal for allergy sufferers. Are you considering buying your first home in Keller? Owning your own piece of real estate is a liberating experience and one that will provide you with the foundation to build your personal wealth and equity. It is important to consider the financial ramifications. Once you acquire your own home you will be responsible for a variety of new costs, including property taxes which are assessed by your local government to pay for municipal services. In this blog post we'll share how property taxes work and what you can expect to pay when you buy your new home. As mentioned above, local governments assess property taxes as a means for paying for police officers, fire fighting services, road maintenance and the other various costs that come with running a town or city. Whether you're buying a house, a townhouse or a condo, the property that your home sits on is inside of an area known as an "assessment area". When the local government determines what your local tax levy or tax rate will be, they will assess your home based on the real estate market value of similar homes in the area. You can multiply your tax rate by the assessed value of your home to determine how much you'll owe in property tax. When you close on your new home you'll have to pay property taxes, and your real estate agent will help you to understand how much these taxes will be and how they will be paid. In most cities like Keller and counties like Tarrant County, you'll pay a pro-rated amount of property tax that covers the time span from the date you purchase the home until the end of the year, after which time you'll be paying your full assessed rate. The exact numbers will be dependent upon the property tax rate along with the value of your home. Finally, don't forget that property taxes can be factored in to the rest of your overall tax picture. Check with your accountant or another financial professional to determine your options regarding property taxes that may save you some additional money. There are numerous tax benefits to owning a home, so it's best to start using them from day one. As with all other taxes, property taxes are a fact of life that every homeowner faces. Becoming a first time homeowner can be both an exciting and stressful time. 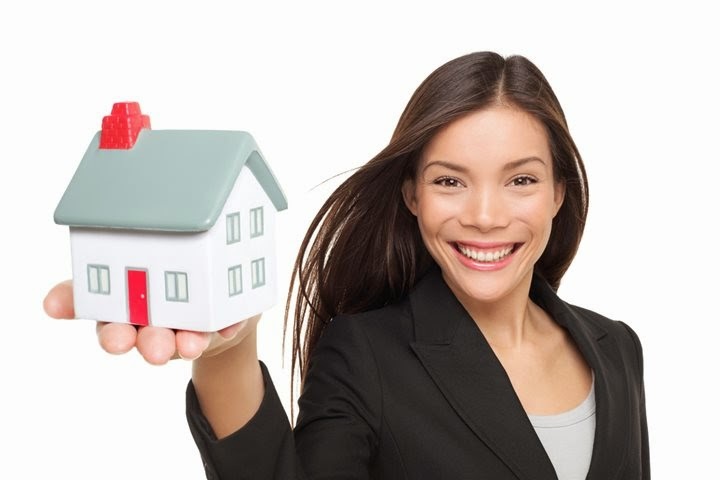 With that in mind, the more knowledgeable you can become on the various aspects of home ownership, the more prepared you will be to make the best financial decisions going forward. Do you feel your Keller home could benefit from upgrades to your kitchen and bathrooms? If you don’t have the time or budget for a full remodel, there are still many simple updates you can do to refresh these spaces and invigorate each with impressive style. From affordable faucet updates to pretty paints, each takes one day or less to complete, instantly providing a dramatic effect. Almost anyone who enters the bathroom or kitchen will use the faucet, which means it’s a functional focal point of the space. 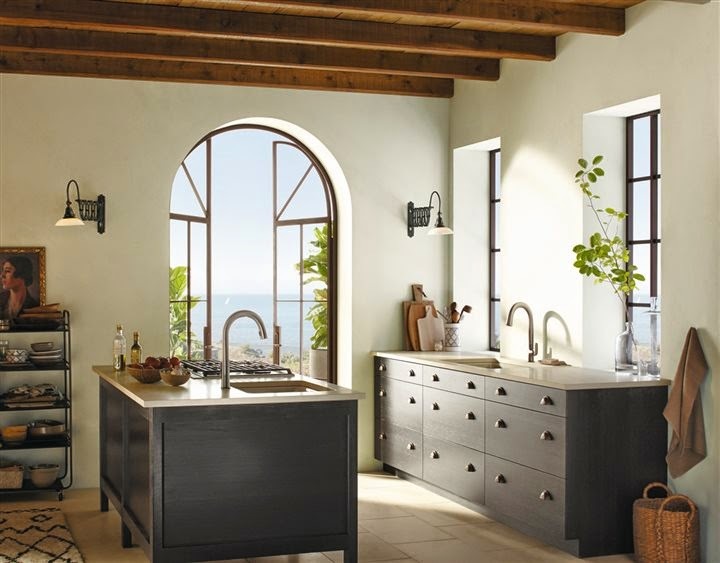 Installing a new faucet is a simple way to redefine interior design and reflect your own personal style. Several options at stores like Home Depot offer exceptional quality at an affordable price. For example, set the ambiance in your bathroom with faucets that provide a timeless, upscale look. Cabinet hardware and other accessories do for a room what jewelry does for an outfit – they provide the finishing touches that really elevate the space. Fortunately, it’s simple and economical to swap outdated hardware for new handles, knobs and pulls. Popular metal finishes include brushed nickel, oil-rubbed bronze and chrome. For bathrooms, update coordinating accessories like towel bars, showerheads and tub fillers. Paint is one of the most affordable ways to dramatically change the look and energy of a space. If you have dated tile, research if tile paint is an option for your kitchen or bath. Don’t be afraid to experiment with color – a rich or vivid color on a focal wall can add instant style, like on the wall behind the tub or stove. Don’t forget the fifth wall: a fresh white ceiling instantly brightens the area and visually heightens the room, which can make the space feel larger and more modern. Every bathroom has a mirror, and some kitchens and adjacent dining spaces feature mirrors as well. A mirror provides a focal point while reflecting light to make it appear brighter. But if you have a builder-grade mirror, you’re probably longing for more style. Instead of investing in a costly new mirror, simply add a new frame around your current one. You can buy a prefabricated frame or create one yourself fairly easily from supplies at your local craft store. Your old mirror will be transformed immediately into an upscale alternative. If your current bathroom and kitchen light fixtures seem outdated, it could be time for a swap. Pick out a new overhead fixture to instantly dress up the room – modern chandeliers, track lighting and recessed lighting are popular options. For bathrooms, installing task lighting by the mirror can help streamline daily routines. Keep in mind, cool, bright white bulbs with a high color-rendering index (CRI) closely reflect natural light and therefore are a good option for bathrooms as well as cooking spaces in your Keller home. If you decide to remodel the kitchen of your Keller home you must consider many aspects - cabinets, counters, floors and appliances - but you may not have thought about windows. According to studies window replacement- whether wood, vinyl or fiberglass - provides a good return on investment compared to other replacement projects, increasing the value of your home financially and aesthetically. So whether you’re making small updates or completely gutting your old kitchen, including window replacement in your project is a smart addition. Kitchen windows are often placed above counters or sinks, making them hard to reach and prone to moisture. Choosing a window style that is easy to open and close, such as an awning, sliding or casement, is a smart move. Awning windows - which can be pulled in or pushed out - are perfect for ventilation, which can be especially helpful in a hot kitchen. Since hot air from the oven or stove typically rises, awning style windows perform the best when placed close to the ceiling or above eye-level. Sliding or casement windows - which use a crank out method for opening and closing - are two good options for hard to reach areas, like above the counters or behind the kitchen sink. With window placement above counters or sinks, moisture and staining can occur, so choosing an easy-to-clean material like vinyl or fiberglass, is equally important. Fiberglass windows can withstand extreme heat and cold, are energy efficient and can have the same quality look of painted wood. Vinyl windows are easy to care for, don’t require painting or staining, and stay looking great for years. However, if wood makes more sense for you and the style of your home, then make sure to select a finish that will hold up against stains and moisture, and be prepared to do a little more cleaning and up-keep. 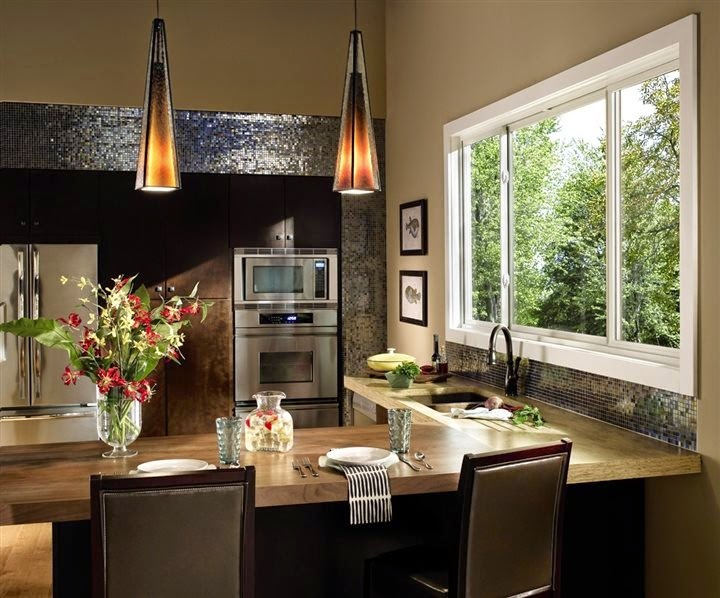 Whether your new kitchen is traditional, modern or rustic, your new windows should complement the space. Window designs offer a variety of features including colors, hardware and grilles. Some windows even offer a between-the-glass solution that keeps blinds and shades located behind sinks from getting splashed. With so many options to choose from it’s easy to design a window that’s unique to you and the style of kitchen you want for your Keller home. Buying your first home in Keller? Don't let these myths stop you. When buying a first home, most people are making one of the biggest purchases of their lives. Without home buying experience, it’s hard to separate fact from fiction. To help first-time buyers in Keller, the following list will separate myth from reality. Myth: It takes a 20 percent down payment to buy a home. Reality: Required down payment amounts vary by type of loan and they are on average much smaller than people think. Last year, the median down payment for all first-time buyers was 6 percent, according to the National Association of Realtors. One reason is that many first-time buyers use FHA loans, which require down payments as low as 3 to 3.5 percent. VA loans require nothing down for qualified veterans or active military personnel. If you want to take out a conventional loan, many lenders do require 20 percent down, but you can lower that percentage with private mortgage insurance. There are also hundreds of down payment assistance programs that eliminate or reduce down payment requirements for qualified borrowers. Myth: If you owe a lot of student loan debt, there is no way you can get a mortgage. Reality: Don’t assume that having a lot of student loan debt automatically disqualifies you from getting a mortgage. The key factor is not necessarily the size of your loan obligation, but the amount of your total monthly debt payments compared to your monthly income. This is called DTI. Many first-time buyers with monthly student loan payments were as high as $300 have been approved, and many more could qualify by increasing their monthly income. Myth: If your credit score is low, you should not even try to get a mortgage. Reality: Millions of potential buyers assume they will not be approved for a mortgage even though many could qualify, according to a national survey. Today, median FICO scores for mortgages to buy a home are 683 for FHA loans and 754 for conventional loans. But hundreds of thousands of buyers with scores lower than those are getting mortgages if they have good income and low levels of debt. Myth: Buying a home isn’t a good investment. Reality: Real estate, like other assets, rises and falls based on supply and demand. In 2014 North Texas had a record number of home sales including a particularly busy December. Myth: I’m about to get married and the wedding is so expensive I won’t be able to buy a home. Reality: According to surveys, the average wedding has 138 guests who typically give a gift valued at $100 each. That’s $13,800 in spatulas, baking pans and other things. If every guest contributed to a Down Payment Fund, you could have more than enough saved for a down payment on a new home. These are just a few of the myths about home buying that surface frequently. Potential buyers in Keller, especially first-time buyers, should eventually speak to a local loan officer to further discuss specific questions about financing a home. We are here to help. Do long, winter days holed up indoors have you dreaming of a new deck to relax on come springtime? Whether you envision transforming a deck into a personal sanctuary or building a new outdoor living space for backyard entertaining, now could be the perfect time for Keller homeowners to start turning those dreams into reality. Those looking to get a jump-start in preparing to enjoy the warmer weather can consider these five easy steps that will improve your deck and outdoor living space, before spring. 1. Add lasting style underfoot by selecting the right decking product. A deck only looks as good as its boards, which is why it is important to select decking that is as durable as it is attractive. Even well-designed outdoor living spaces can disappoint if deck boards crack, fail, fade or warp. Many deck products are available, but composite decking is one material that has quickly grown in popularity, and market research predicts the material will see continued growth in the coming years. Composite decking products fuel this growth by helping homeowners realize that decks can require minimal upkeep while still providing lasting beauty. 2. Design your outdoors as an extended living space. Once you have the perfect materials in mind, consider that your outdoor living space serves as an extension of the home. Your deck, patio or porch doesn’t have to be boxy in design. By incorporating level changes, handrails, lighting and the right furniture, you can clearly define areas for eating, socializing and relaxing. If you have multiple outdoor living spaces you can also incorporate pathway features and ground lighting to connect the spaces and help your guests travel smoothly from one area to the other. Don’t let difficult terrains or space limit you. By using platform decks to tame hard-to-navigate slopes and including raised portions in smaller designs, you will be able to expand your usable space and extend your views of the scenery. 3. Create drama on deck. Once you’ve got a basic idea of how you want to design your deck, get creative and pinpoint areas where you could make use of artistic focal points that will make your deck even more unique. Some of the simplest ways to add distinction to your deck are to alternate the plank directions, create in-laid patterns and inset frames. With moisture-resistant deck boards you can accent nature in your design by simply encircling a tree near the deck or highlighting a water feature. Similar levels of creativity can also be applied to fire pits, planters, built-in seating and storage boxes. If those simple design tricks aren’t enough to set your outdoor living space apart, consider incorporating curves into your deck design. Circles, sweeping arcs and other unique shapes that are juxtaposed against straight lines can add a distinctive touch of customization that will showcase your creativity. Contemporary materials like composite decking make shaping deck boards into these eye-catching curves a breeze. Contractors and do-it-yourselfers following manufacturer instructions can rip, route and bend the boards into a range of one-of-a-kind custom shapes. 5. Give guests something attractive to lean on. While railings are an important safety feature, they can also double as a decorative accent that takes your deck to a whole new level. 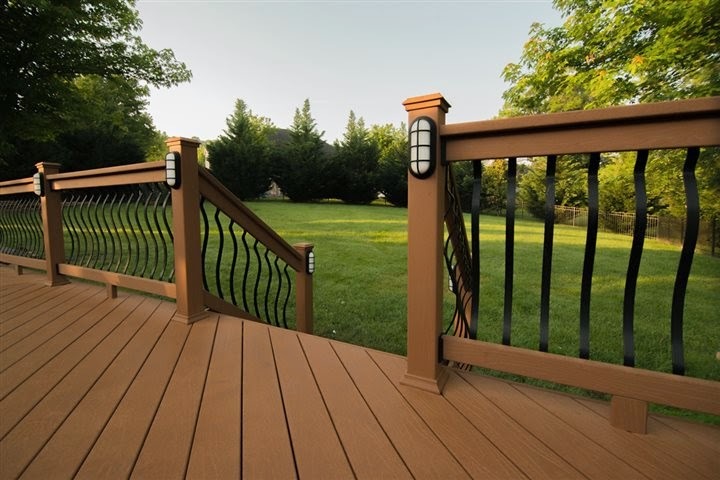 You can finish out your deck with color-matched composite railing components and accessories for a seamless look, or contrast colors to create visual interest. If preserving views is important, consider using tempered glass panels, horizontal cables or shaped metal instead of traditional balusters. For Keller homeowners looking to create or improve an outdoor living space, these tips give you some great ideas to consider. If you're in the market for a new home in Keller and you've been researching mortgages, you've likely come across the terms "pre-qualification" and "pre-approval". While these terms are self-explanatory in some circumstances, they are quite different in regards to mortgage financing. Here we'll explain the difference between a mortgage pre-qualification and a pre-approval. The first – and easiest – step on the way to receiving mortgage financing to buy a home is known as pre-qualification. During this process you'll meet with a mortgage advisor or lender who will assess your financial history including your current income and any debts that you might have. Using these numbers they'll perform a quick calculation that suggests how much mortgage financing you might qualify for when you're ready to buy a home. Your mortgage professional will also answer any questions that you might have about the process, including what interest rates you may qualify for, how much you'll need to invest in your down payment and more. After you've been pre-qualified for your mortgage and you're ready to start looking for a new home you'll go through the pre-approval process. 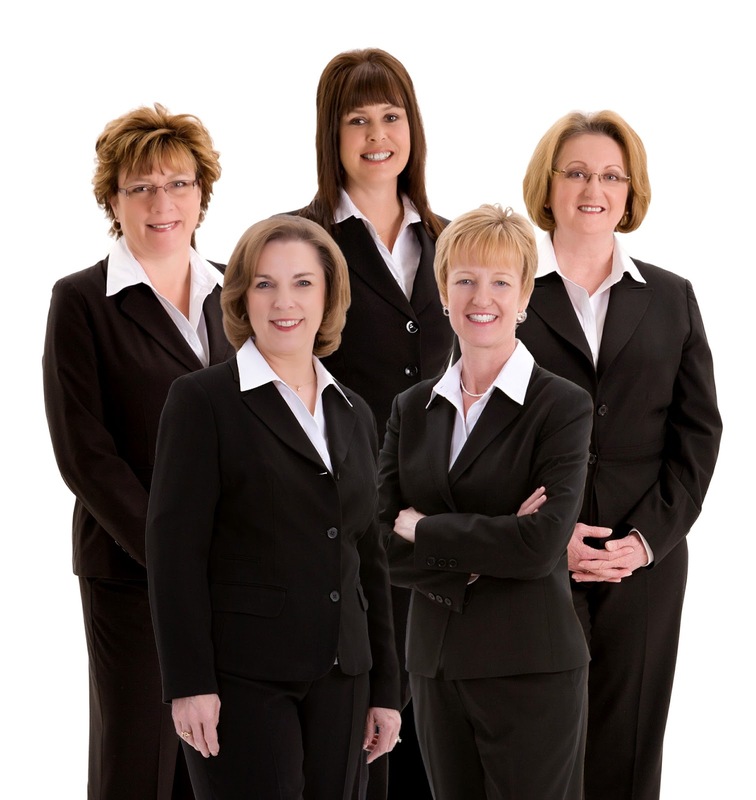 At this time your mortgage advisor or lender will take a much deeper look into your current financial situation, including pulling a credit report to assess how much risk they will have in lending you money. You'll also complete a full mortgage application as this will allow your lender to get a conditional approval for a certain amount or range. Finally you'll be informed about the interest rate and the terms of the mortgage once you find your new home and complete the purchase. Now that you've been pre-approved and have received a conditional commitment from your lender, you're ready to find that perfect Keller home. On top of having a better idea of your price range and what you can afford, you'll find that sellers are far more receptive to your offers as having a pre-approval signals that you're a serious buyer who is ready to make your move. Light is an important design element that can be used to influence the interior decor of your Keller home. In fact, you can experience a major transformation on the overall ambiance of a room by making a few simple lighting changes. Consider how these ideas can help you to improve the look of your space with great results. If you have fine pieces of artwork, decorative display areas or other features that you want to illustrate with beautiful clarity, the addition of spotlights is a great idea. You can shine light on these special features in your home by installing a single bright fixture with a focused beam overhead, or you can use track lighting to highlight larger features. In some cases, the design or layout of your room may be sufficient to allow the light to be positioned below the fixture to shine upward. While spotlights can shine a focused beam of light on fixtures, you can also use background lighting for ambiance. Consider how you can incorporate background lighting with under-cabinet kitchen lighting or dimmer recessed lighting placed behind a sofa or other features. Generally, these are lights that do not provide direct lighting, and the light may not be the main source of light in the room. It may even have a hint of color to it for a dramatic flair that further establishes ambiance. Another idea is to use beautiful or decorative lamps in your room. These may be smaller desk lamps, towering floor lamps or table top lamps. There are lamps available in a wide range of colors, sizes and styles. 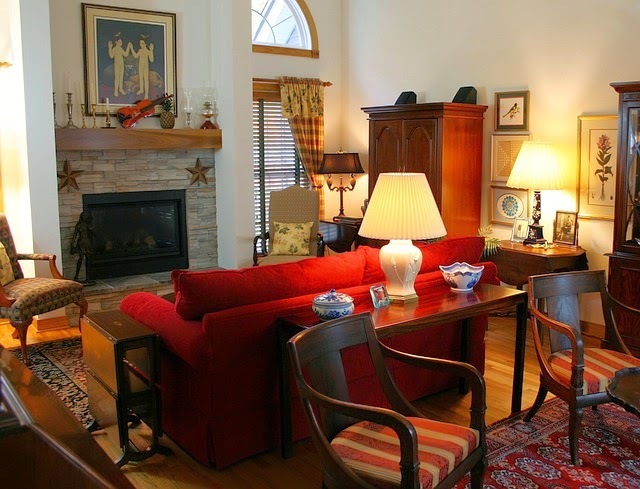 The lighting from the lamps may influence ambiance and provide functional lighting. Additionally, the decorative nature of the lamps themselves can enhance the decor even when the lights are not turned on. There are many different types of lighting that can influence your Keller home's decor, and in many cases, it makes sense to incorporate each of these styles of lighting in a single room to enjoy different benefits. You can study your rooms' layouts and designs to learn more about how the existing light fixtures influence decor. With that you can make a few appropriate changes to enjoy better overall results for your space.